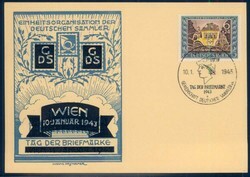 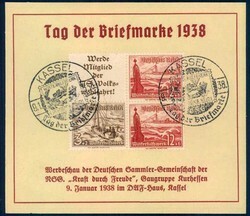 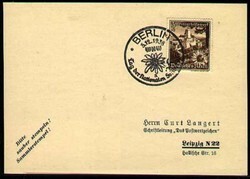 German Empire cover, special cancellation, stamp exhibition. 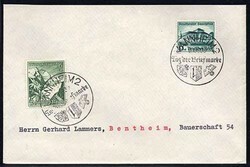 For details and condition see image. 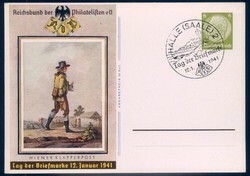 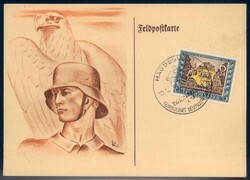 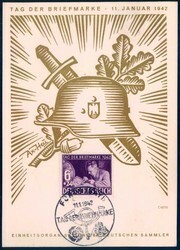 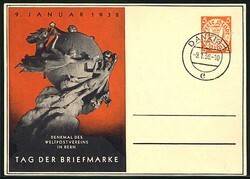 Cover and special cancellation from the stamp exhibition at Bentschau near Prague. 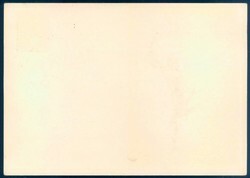 Some toning. 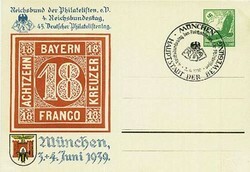 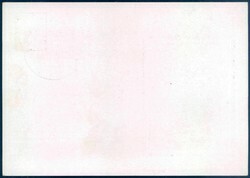 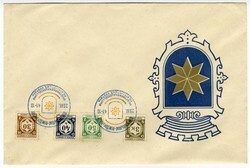 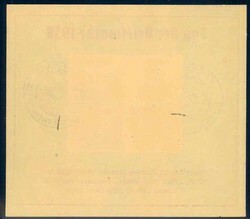 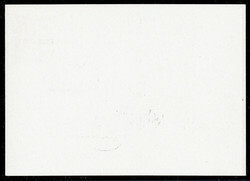 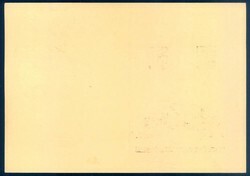 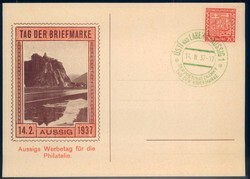 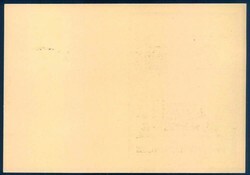 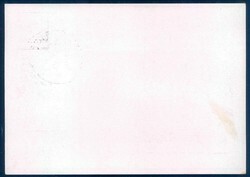 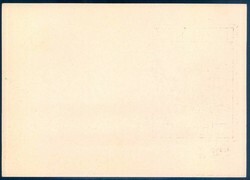 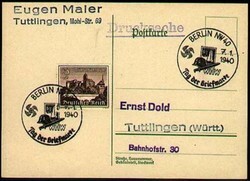 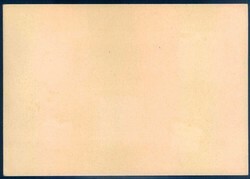 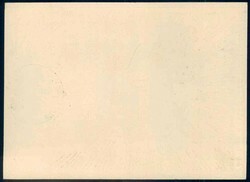 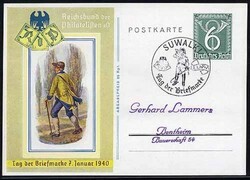 Private postal stationery on occasion of the Day of the Stamp with corresponding cancel of 1938. 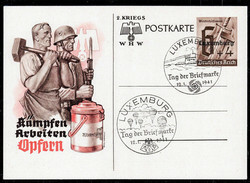 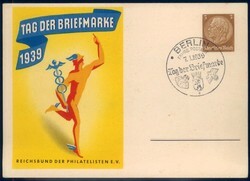 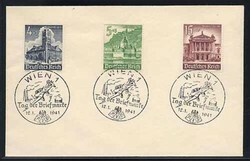 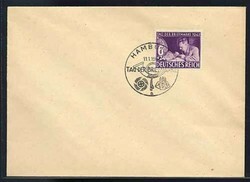 Deutsche Besetzung II.WK Luxemburg, Ganzsache, gestempelt, WHW Ganzsache zum Tag der Briefmarke mit Ersttagsstempel, Details siehe Abbildung. 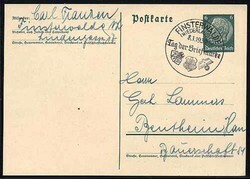 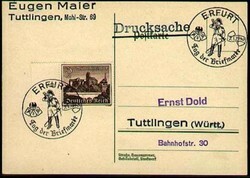 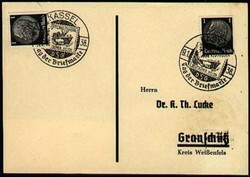 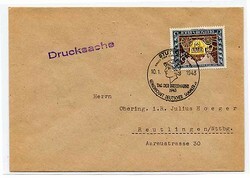 Gedenkblatt "Tag der Briefmarke 1942", mit Sondermarke und Ersttagsstempel "Fürth 01.11"